In early spring, you can certainly still drink big-bodied red wines. Perhaps the title of this article is too optimistic, for spring has yet to settle into the Northeast. But I did see crocuses rearing their purple heads this morning, so I will drink wines accordingly. In early spring you can certainly still drink big-bodied red wines, and there are so many good ones from so many global vineyards right now in the marketplace, at just about every price point. Here is a slew I'm enjoying right now. Argento Reserva Malbec 2010 ($14) -- The characteristic flavor of Malbec, with its strong tannins, make this wine a primer for the fine red wines of this varietal now coming out of Mendoza vineyards in Argentina. It's very well priced for the quality, especially since Argento only started making Malbec as recently as 1998. 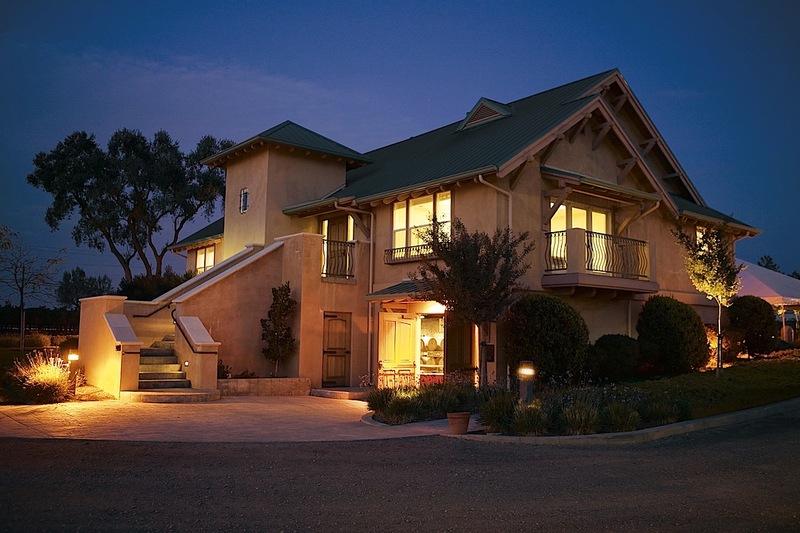 The wine spends nine months in oak barrels, softening it to its present equilibrium. Duckhorn Paraduxx Winery C Blend 2009 ($48) -- Here's a fine blend of cabernet sauvignon and zinfandel, with the latter providing dark fruit and a tobacco-and-chocolate finish. At 14.5 percent alcohol it's just at that sweet spot where big means bold. 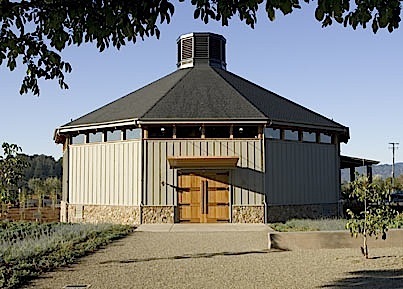 The winey was founded in 1994 and opened to the public in 2005 in Napa Valley and is well worth visiting for its round barn architecture (below) and state-of-the-art facilities. Penfolds St. Henri Shiraz 2009 ($65) -- Penfolds is one of Australia's pioneering wineries in the Barossa Valley and they make a wide range of products at various prices. 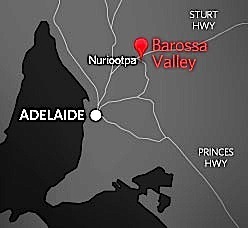 This is getting to the top of the line and is very expressive of how Australian shirazes manage to retain fruit without being inky... To really hit the heights, get the Penfolds Bin 707 ($265), but be prepared to wait for it to come to full maturity. Right now there is magnificence lurking beneath the fruit, acid and, curiously subdued, tannins. Robert Mondavi Napa Valley Chardonnay 2012 ($19) -- Here's a good entry-level premium chardonnay from the estate that created the California style for the varietal. There's oak and caramel here but enough acid for balance, and I found it tasted even better the next night when some oxygen got absorbed into the wine. Li Veli Pezzo Morgana Negroamaro Salice Salentino 2008 ($20) -- Salice Salentino made from the Negroamaro grape is Puglia's claim to red wine quality, and this distinctive varietal is ripe and ready to drink right now with red meats. I found some sediment in the bottle, which suggests it won't be this delicious forever. 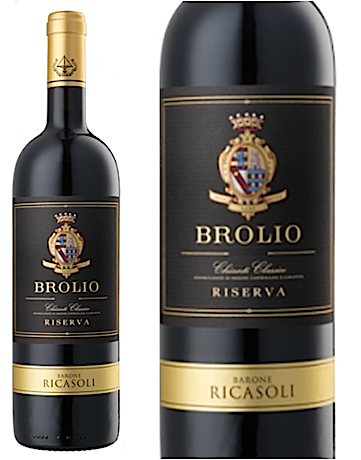 Brolio Riserva Chianti Classico 2010 ($30) -- A remarkable price for such a beautifully crafted Chianti Classico in a blend of 80 percent Sangiovese, a soft 15 percent Merlot, and a backbone of 5 percent Cabernet Sauvignon, spending 16 months in oak and three in bottle. It is ideal with the kinds of foods enjoyed in Tuscany and right now the baby lamb is being readied for Easter, when this wine would be perfect as a celebratory accompaniment. Veramonte Primus Cabernet Sauvignon 2010 ($14) -- The Colchagua Valley of Chile has emerged as one of the country's finest, and this Cabernet (with 5 percent Syrah) made by Huneeus Vintners shows how you put steel into a velvet glove and have both power and finesse in an intensely flavorful, admirably priced red wine. More age will bring it into even better focus.